There's something very cool about a game that lets you explore a house and learn about its inhabitants. Spider: The Secret of Bryce Manor cast players as a spider who, by casting webs and moving through an abandoned house, learned the story of its inhabitants and what transpired there. In The Fullbright Company's upcoming PC adventure game Gone Home, players wander through an abandoned house and rifle through drawers to piece together clues about its inhabitants. The Last Symphony, created by game design researcher Clara Fernandez Vara, explores a similar theme, and does so in a really interesting way: Through music. Players take on the role of a museum curator who is putting together an exhibit on a recently deceased composer. You're exploring his house to discover what it was that caused him to radically change his compositional style. With the help of his sister, who tells you things about him corresponding to each clue you find. 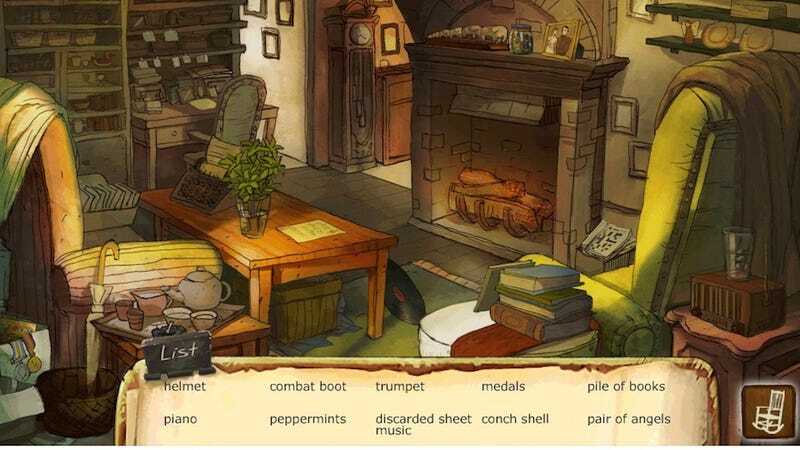 At its heart, The Last Symphony is a simple hidden object game, but it's told with such warmth and lovely artwork that it's really worth trying out. Plus, you know, it's free. For more on Vara's work, check out this neat interview over at Gamasutra.